My favorite restaurant in Florida! 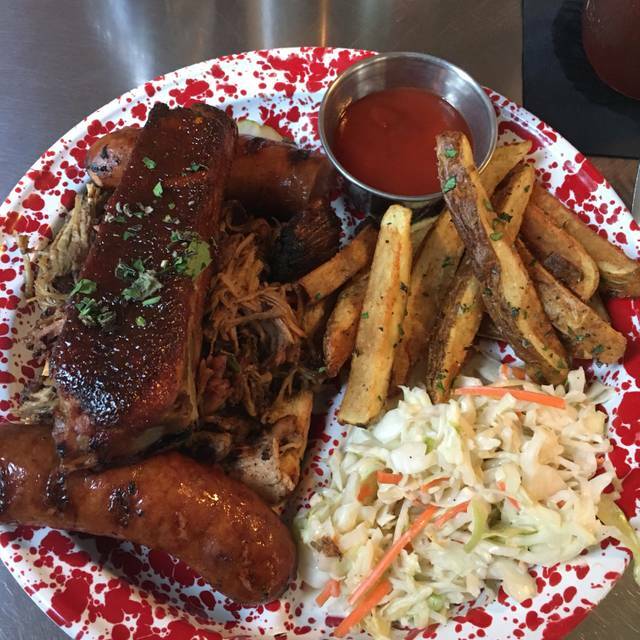 Kenny truly makes exceptional barbecue with the utmost attention to detail! It was our second time and we really enjoyed food at Gilbert's. Great barbecue meat and delicious vegetables. Not your regular barbecue joint, more flavor and sinful way of cooking, my crispy brussels sprouts were out of this world but deep fried to perfection. We will be going there again soon! Authentic Southern staples treated with respect in a comfortable setting. 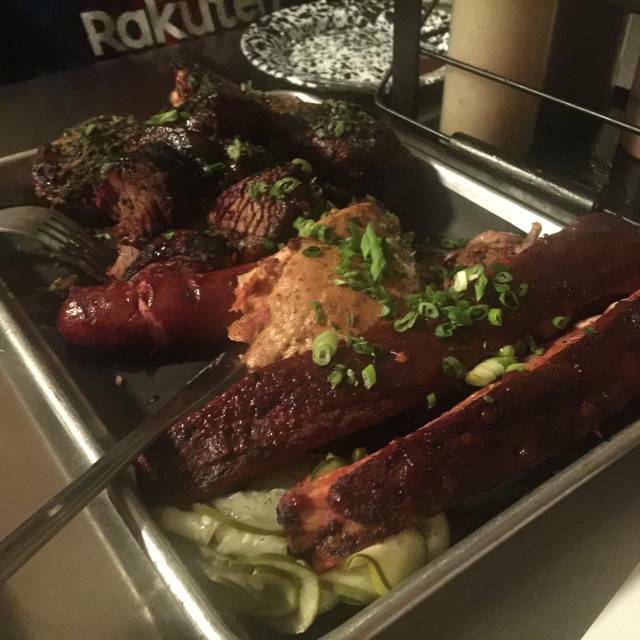 Amazing variety of smoked and fried meats, greens, grains and sides make dinner selections all the more challenging - we had to share! The food was to spicy. The brisket was tough and hard to eat. The sides were good. The kids Mac and Cheese and fries were also spicy. Toddlers like plain Mac and Cheese and fries. The biggest problem was the sangria. My wife and I ordered the Underground Red which was advertised as red sangria with ginger and basil. It tasted like watered down red blend wine. No taste of ginger or basil. The waitress brought us extra basil but that didn’t help. We asked for our mains to arrive after our appetizers were finished but our waitress brought them while we were still eating the apps. When we brought this to her attention she blamed it on a party of 45 that evening. But, that party was just starting to arrive. Food was a bit pricy but decent. Fried green tomatoes were small and greasy. Chicken skins were excellent. Catfish and bbq plate were ok. All in all, I thought that $101 (including tip). Was a bit much for bbq and weak sangria. The service is spectacular. Unrushed but attentive. We asked a question that the server couldn't answer and he went back and checked for us bringing the manager out to explain in some detail. They ran out of a local beer I asked for and, get this, someone went out and got more at 8:00 in the evening. Wow-how awesome is that! Great spot for barbecue. Food is very good. Staff is friendly. Fabulous sides, soups and welcoming, friendly service made our experience a great one. The roast turkey was a bit dry and many of the dishes had enough calories to sustain a platoon in basic training. We didn't delve into the cocktail list, sticking with a bottle of Sauvignon, but the drink descriptions seemed at once edgy and classic. Next time we'll take a family-style Tapas approach and share dishes -- less food, more sampling. Your menu is truly Southern. The combination of the smoke flavor and the spicy hit is a great match. Service is outstanding. We live on the south end of the island (Summer Beach by the Golf Club of Amelia) so we have now know how long it takes to get to Gilberts. We have been there six times in the last few weeks and you be a regular destination from now on. No host onsite when we walked in and it took a good 7-10 minutes before anyone came out to seat us. But once seated the service and food was amazing!!!! We always feel like we are sneaking a great meal at this little hideaway! Shshshsh.... don't spread it around but this place has fantastic food! Mac and Cheese.... Chicken Fat.... the awesome Brussels Sprouts!!! And then there is the MEAT!! Ok... you can tell people but just tell a few! Grest intro to southern cuisine on first day of our trip. Collard greens were amazing, the ribs and brisket and burnt ends were to die for. Will def go back before we leave. Our first time at Gilbert’s and we will definitely go back! Cozy environment and child friendly. The food was amazing! 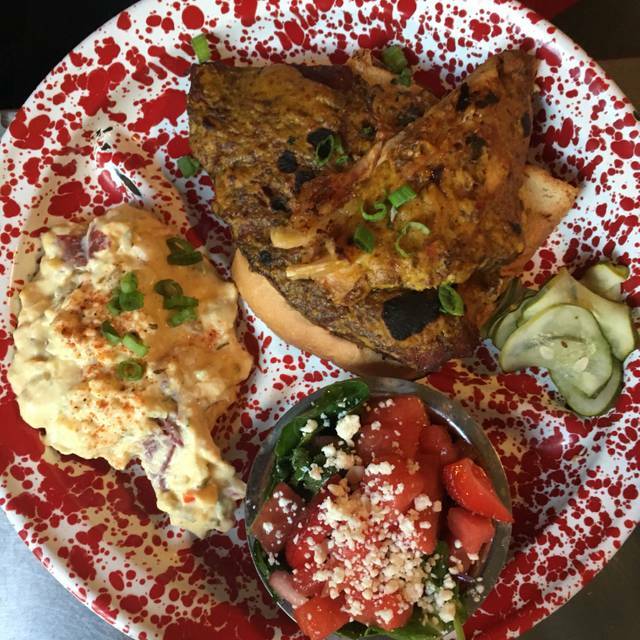 Eclectic southern cuisine. I had smoked fried chicken thighs and biscuits with a side of collard greens. Others in the group had smoked turkey and brisket which they said were great! Kids had buttered pasta which they devoured! Restaurant is small so I would make reservations! Amazing! Go eat here don’t hesitate just do it! Even the sides are amazing! One of the best BBQ meals. We’re from Houston and my mom and I love visiting Amelia Island. 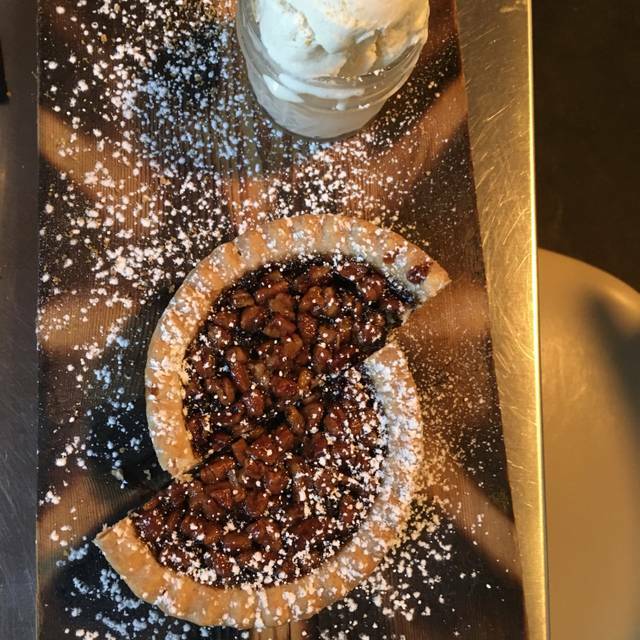 We visited three years ago and were BLOWN AWAY by the food! We’ve told everyone we can since and we finally made it back last night. We were impressed yet again! The ribs, brisket, potato salad and brussel sprouts were outstanding! Service was great and the ambiance was perfect. We will be back! Great food, not too fancy - just basic good food. And reasonable prices and friendly staff. It's always a great time. The shrimp and grits were a unique and delicious take on an old favorite. The smoked turkey was moist and amazing. We're ready to go back. The food here is always awesome! They have a new menu and it was equally as good. Be sure to try the collards if you like them! Some of the best that I’ve ever had. Resturant. I very disappointed . Go to Amelia island for car events every for 10 yrs. And I making sure that this those not happen to anyone that I know. I wish restaurants would offer a "no sugar" option for those few of us that don't want everything sweet. 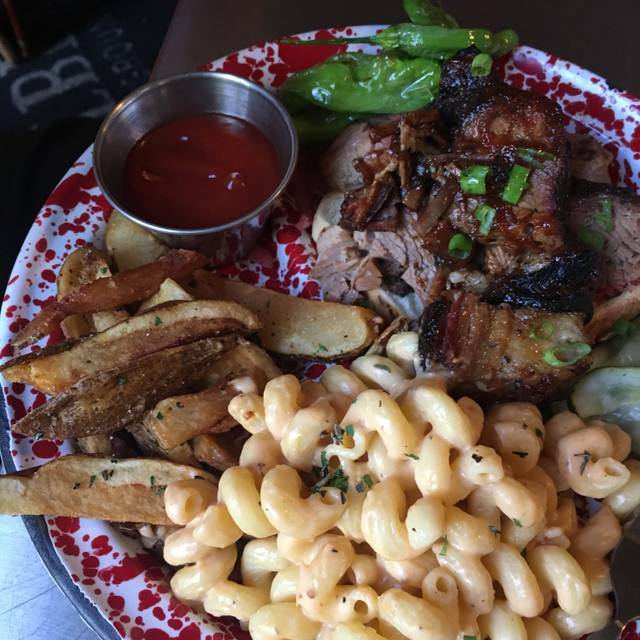 Brussel Sprouts are great and the Mac and Cheese was outstanding. Will go again but now will ask about sugar. Wish they had draft beer. Enjoyed it. Sweet potato soup was excellent!!!! Coleslaw was very good. Great menu! So excited to learn it is Top Chef finalist Kenny Gilbert’s place! Will definitely be back and raved to others to try when at Amelia Island! Never credited me 100 points for my reservation, even thought I check in and told them I had a reservation! The best customer service bar none. And the food was superb. 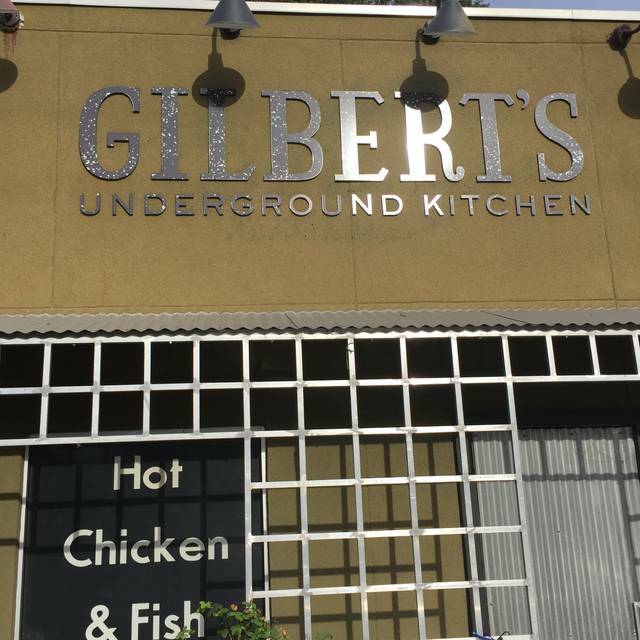 It is always a pleasure to visit Gilbert's Underground. The service and food are phenomenal every time. 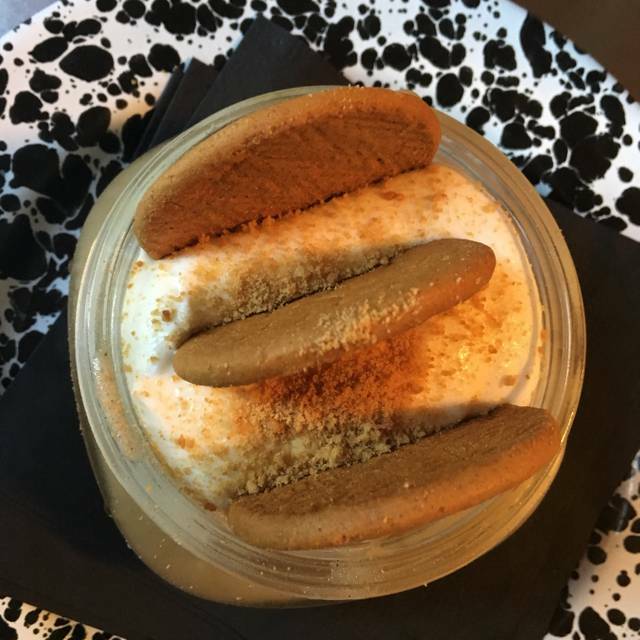 The best southern flare kitchen around and as close to your Grandma's as you will get! True southern barbecue with style! Impeccable seasoning, great variety, upscale comfort food. And the service to match! 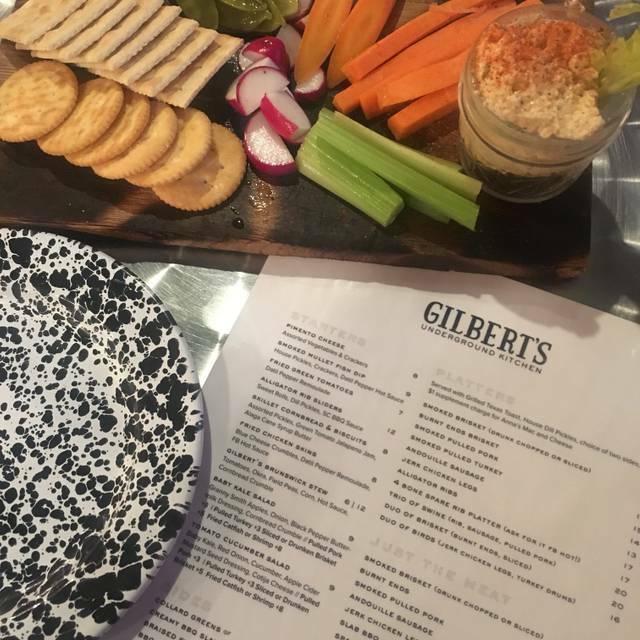 We had not been to Gilbert's for quite some time and were delighted to see a new menu with many locally sourced foods. The smoked turkey and pork were outrageously delicious! And there was lots to take home to enjoy for another meal. Another incredible meal!! Keep it up!! See you soon. It was a quiet night at Gilbert's; unusual, I'm sure. The two glasses of Sangria I had were outstanding. We had fried green tomatoes which were yummy- crispy outside and sweet and juicy inside. 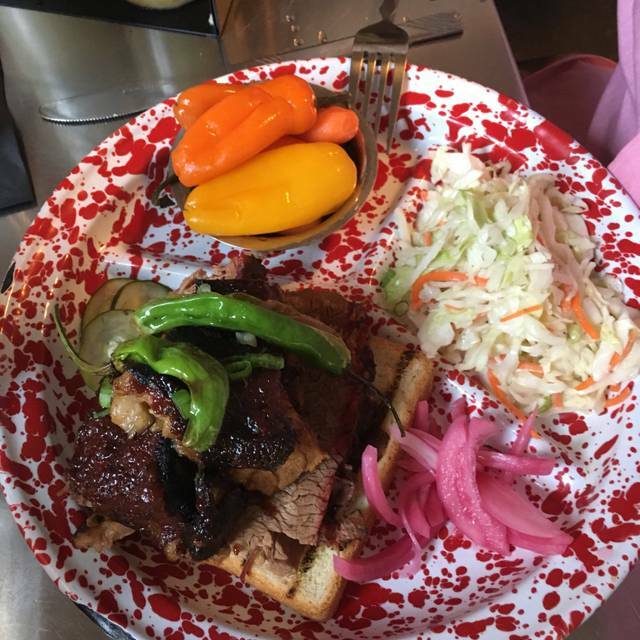 We also ordered just meat plates- small- which were very generous (burned ends and sliced brisket)- delicious, tender, and moist. The sides (mac & cheese, crispy Brussels sprouts and coleslaw) were definitely something to write home about. Best of all was our server, Sam. He was efficient, knowledgeable about the food and the chef's background, and completely pleasant. The other server that night, whose name I didn't catch, went out of her way to acknowledge us and make us feel welcome. This was overall a very pleasant dining experience and we would not hesitate to return. This hidden gem is worth the stop. From the minute we walked in the door we were greeted and felt welcomed . Our server was very informative about all the dishes and explaining the various sauces. We had the pulled pork with slaw and Brussels Sprouts. Everything was delicious, and we enjoyed the sauces. Unfortunately the alligator sliders weren’t available so it gives a reason to return. Thanks for a most enjoyable and delectable evening. Delicious food, excellent service, laid back atmosphere...perfect for my husbands birthday dinner with our family. We’ll be back! Great food and Mason out server made it a pleasant experience!